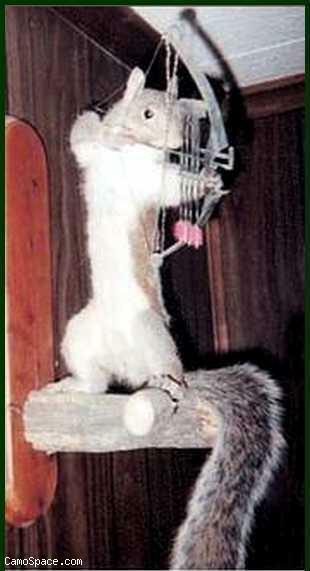 I thought it would be cool to get some pics up of unusual or out-of-the-ordinary taxidermy. 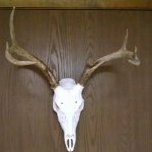 Don't get me wrong, I love to see nicely done bucks, but there are so many other critters that tell stories. I'll start with this bull gator. He was 10.5' and was taken at WDW with the state trapper (Terry Parlier at the time). It was in 1998 and we were running baited lines at night. It took quite awhile to get him landed and, if you can believe, he was not a happy gator! Now thats awesome and 10.5 is a real nice size. Great trophy. HEHEHE They think its another squirrel behind them!! !